“Brit (Ashley Benson), Candy (Vanessa Hudgens), Cotty (Rachel Korine), and Faith (Selena Gomez) have been best friends since grade school. They live together in a boring college dorm and are hungry for adventure. All they have to do is save enough money for spring break to get their shot at having some real fun. 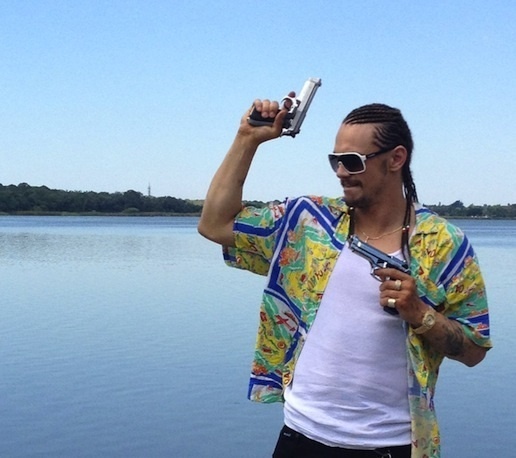 James Franco plays the role of Alien, a drug and arms dealer who wants the girls to do some dirty work.Well, there is no denying, Franco does look the part on those pictures! The film should be released in theaters sometime in 2013.